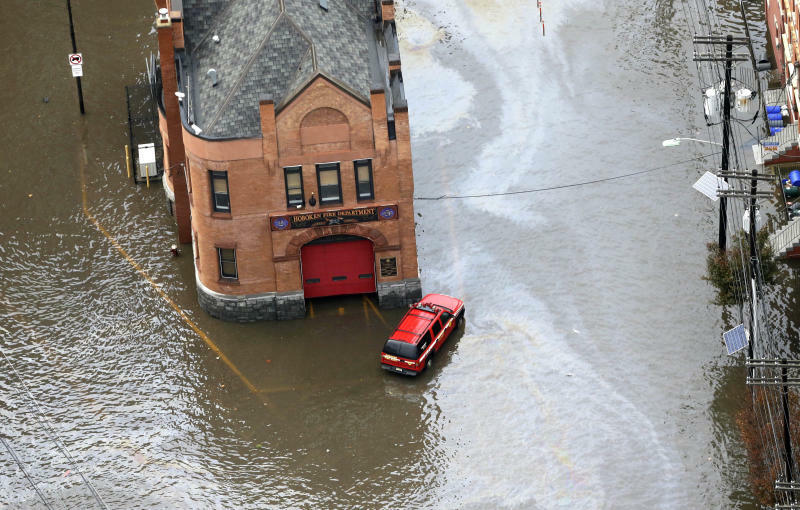 HOBOKEN, N.J. (AP) — The New Jersey National Guard arrived Tuesday evening in Hoboken to help residents of the heavily flooded city on the Hudson River across from New York City. Officials announced the Guard's arrival in messages on the city's Twitter and Facebook accounts. It says Guard members will use high-wheeled vehicles to help evacuate residents and deliver supplies to flooded areas in the mile-square city. 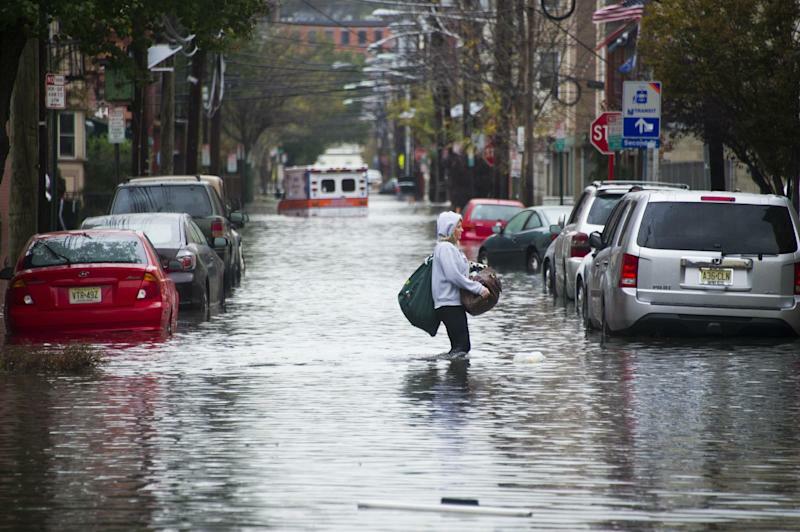 Hoboken was hard hit by Superstorm Sandy, which flooded roughly half the town of 50,000 people. Mayor Dawn Zimmer had asked for the Guard's help late Monday, saying thousands of residents were stuck in their homes. "We have two payloaders and we're trying to go in where we can to help people, but we have small city streets and payloaders cannot fit down" them, Zimmer said Tuesday night on MSNBC. "We've got live wires in the waters, and the waters are completely contaminated and getting more contaminated," she said. 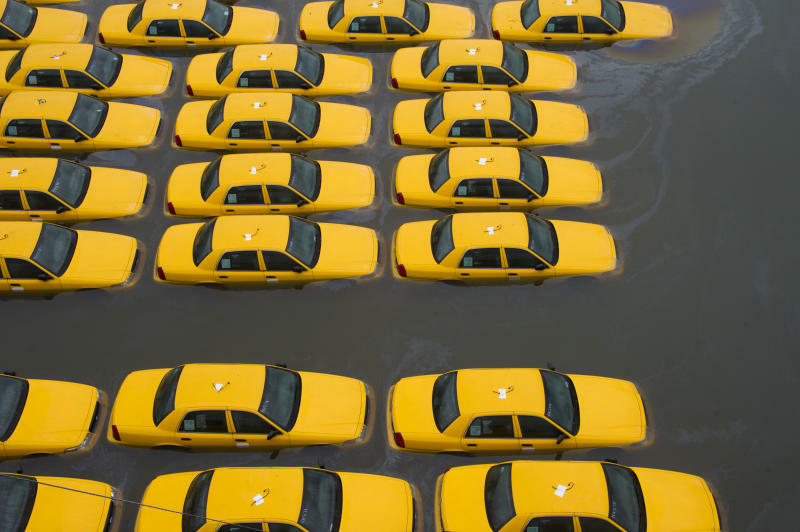 "It's rain water mixed with sewage water; it's becoming more sewage water." Hoboken resident Polina Pinkhasova, a 27-year-old engineering student, has been volunteering at a shelter in the city, where water is still 3 feet deep in spots and the power remains out. "Once the sun sets, complete darkness," she told The Associated Press. "You really can't see anything." Her house is on dry land, but she has seen evidence of price-gouging, saying she paid $14 at one store for three small bags of chips and a small bottle of cranberry juice, both expired. Almost every basement apartment he has seen in the small city, which makes the most of its housing stock, is flooded, he told the AP.